Velcro Lewis and His 100 Proof Band will be playing tonight at the Empty Bottle with Strychnine and Casual Encounter. Doors are at 8:30 and Velcro Lewis should go on around 11:30 or 12. It should be an interesting night considering my first experience involved the blind front man juggling knives on a loading dock. 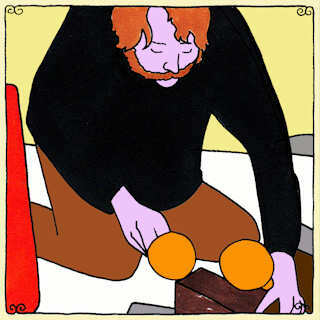 Check out his Daytrotter Session from October by clicking on the picture above.